SOPHIA the 3rd, from Blaster Master, is coming to Super Mario Bros. Crossover. 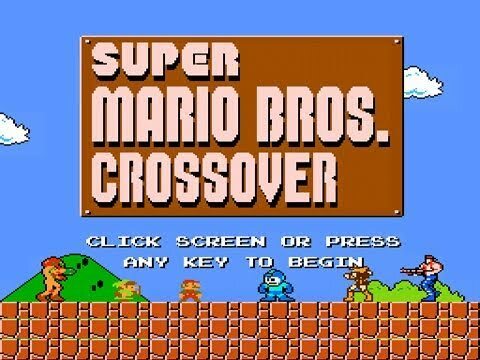 SOPHIA the 3rd, from the NES game Blaster Master, will be coming to Super Mario Bros. Crossover in late November. SOPHIA has almost all of her abilities from Blaster Master, including firing homing missiles, hovering through the air, driving on walls and the ceiling, and a swimming system. I also gave SOPHIA a new ability that allows her to jump off of walls and attach to them in mid-air. I felt that this was a natural extension to SOPHIA’s moveset and it makes her a very unique character. But honestly, I just added it because it’s fun as hell. SOPHIA is the first character in the game to have limited ammo. In order to shoot homing missiles, the player will have to collect ammo from defeated enemies. The player’s current ammo and current hover (the amount of flight time SOPHIA has) are displayed onscreen. The player should be careful about dying because all of their hard-earned ammo will be reset to zero. Getting a star will grant SOPHIA unlimited missiles and hover for the duration of the star-power. Also, SOPHIA’s missiles are the only weapon in the game that can destroy Bullet Bills, Buzzy Beetles, and Spike Tops… in addition to Samus’s missiles, which are also coming in this update. The game will be available on explodingrabbit.com in late November, and there will be a few minor updates in addition to SOPHIA. Thanks everyone for the support, and I want to thank Nintendo, Konami, Capcom, Tecmo, and Sunsoft for allowing me to continue making this awesome game. I’ll see you all at the end of November.